Making it work by cutting up my objects – Feel the ‘fear’ and do it anyway! Looking again and struggling with composition and how to place everything. I had too many objects and I began subtracting, the sweetcorn went, so did the garlic and the onion. 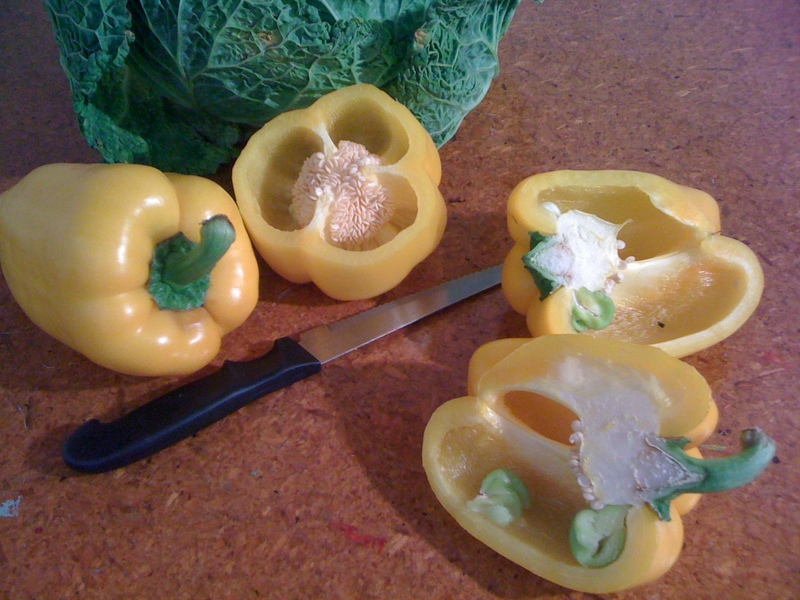 I decided to cut the capsicum which was scary but I consoled myself with the thought I could always buy some more! « Working out my ‘Harvest time’ at class.